Since its inception, the Adam brand has symbolised trust, performance and value. 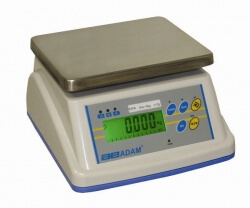 For over thirty years, the company has been producing balances and scales known to professionals globally for their superior quality, reflecting Adam’s steadfast commitment to both customer satisfaction and user-focused product development. 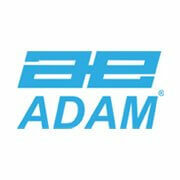 Today, more than ever, customers are turning to Adam for their balance and scale needs. A laboratory is a facility that provides controlled conditions in which scientific research experiments, and may be performed. The title of laboratory is also used for certain other facilities where the processes or equipment used are similar to those in scientific laboratories. A weighing machine. 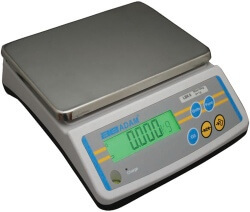 The terms laboratory scale and balance are often used interchangeably. Historically a scale was a device that displayed weight by measuring a deflection, such as a spring scale. 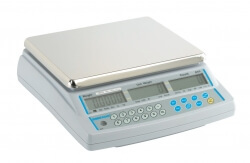 In modern weighing machines scales are usually using springs or strain gauge load cells. Ideal for food preparation, food processing plants, agricultural facilities, and more, WBW scales feature IP66 rated wash down housing and a large stainless steel weighing pan. Colour indicators for Under, Ok, and Over limits make check weighing fast and easy, and a brilliant backlit LCD with capacity tracker, indicators for overloads, low battery, and auto power-off, make the WBW very user friendly. They operate with an AC adaptor or rechargeable battery pack for portability; both are included.